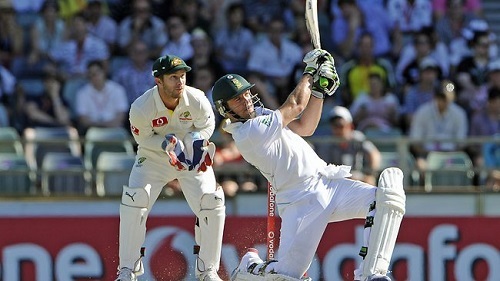 The South Africa vs. Australia test series once again proved that test cricket is alive and well. 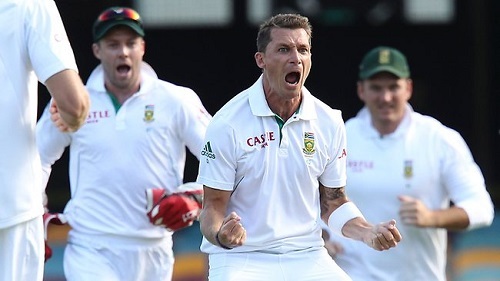 The Aussies once again won on South Africa soil, breaking a long unbeaten streak for the South Africans, while the South Africans were left surprised by the retirement of their long serving captain Graeme Smith. Well you now have the slap and tickle of the T20 series and looming World Cup to look forward to, we look at the Winners and Losers of the Test series. 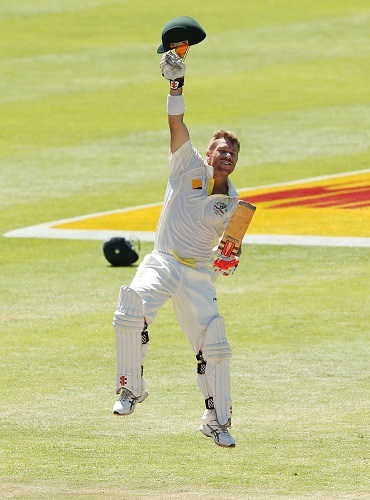 Well its hard to say any different, but David Warner is currently playing at a level that no other cricketer is. His brutal form saw him pass 50 in five consecutive innings in the series and he knocked three centuries. Warner was so far ahead of the rest in this series and probably far ahead of his own abilities. He managed to overcame the swing of Steyn and the bounce of Morkel to score 543 runs at a strike rate of 84. Yes, in test cricket. 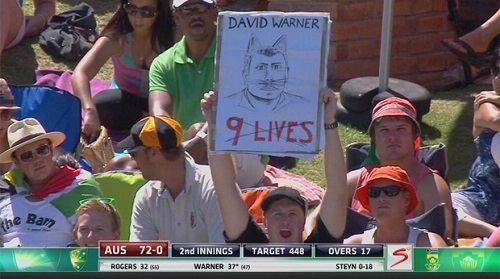 The Ashes finally saw David Warner come right and South Africa suffered as a result of it. 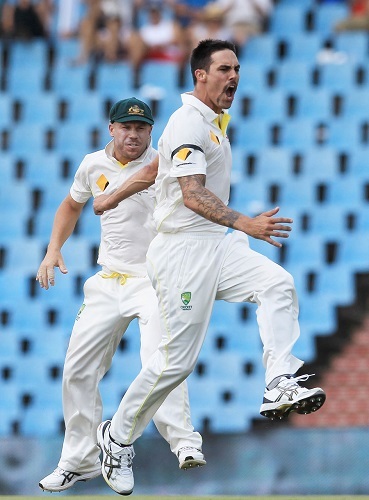 If Warner was on top of his game, then Mitchell Johnson was very near the top of his too. In a test series where there are 60 wickets available, Johnson individually took 22 of them including one of the most devastating spells of fast bowling I have seen in Centurion. I honestly believe the display at Centurion was more impressive than the Ashes in its entirety. The super slow mo of Vernon Philander’s bat handle bowing at the moment of impact was a brilliant visual of the damaging impact of MiJo. Graeme Smith would probably wish he didn’t have to face Mitchell in his last series. Rudyard Kipling once said: “If you can keep your head, while all those around you are losing theirs, then you will be a man my son”, by the words of Mr Kipling, AB de Villiers is most definitely blossomed into being the man of the South African side. He is comfortably the best batsmen in the world right now and has proven that he is able to blitz, bat or even battle. 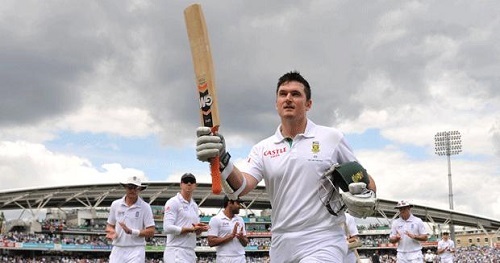 And although he scored a 50 at Centurion and a century at St. George’s Park, his 238 ball, five and a half hour stand at Newlands was one of the finest innings I have seen in test cricket as he willingly played within himself for the good of the team. Dale seemingly played the series in a state of ill health. He had a stomach bug problem at Centurion and a hamstring problem at Newlands. Yet in Centurion he bowled more overs than any SA Bowler and took more wickets and in Newlands he batted for 75 minutes and 44 balls to get South Africa close to the survival. It seems the only time he was fully fit was at St George’s Park where he produced a devastating spell of reverse swing in ripping Australia apart and leveling the series. Still South Africa’s most important bowler, even on only one leg! Is this Australia’s next Test captain? Well after another astute display, few will argue this. 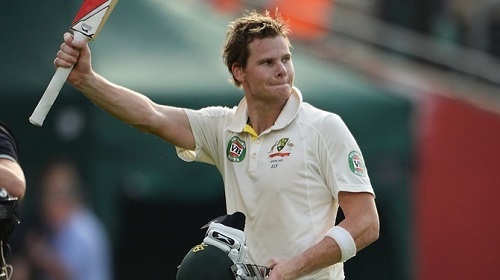 Each time the boringly named, Steve Smith plays, he seems to grow in stature. In a middle order that featured the out-of-form (generally) Michael Clarke, Alex Doolan and Shaun Marsh, Steve managed to offer them the stability that often left the tail-enders exposed in the Ashes through its absence. He was also able to score at an accelerated rate in Newlands to show his versatility and value to the Australian line-up. 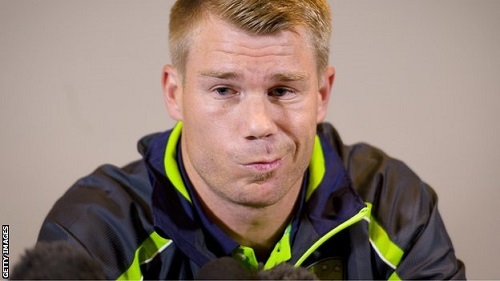 Seriously if David Warner left his cricket to do the talking, he would be a fine player. But he suffers from the brain fart of talking that currently will make him one of the least liked cricketers in the World. His absolutely appalling comments after the loss in the second test where he accused AB of cheating to his dog barking at Faf du Plessis, proving his media comments correct and of course to his abusive language at the umpire when demanding an explanation for the third umpire to turn over the decision. David, seriously, stick to playing and not speaking and you will be a fine cricketer. Seriously, when test cricket is as enthralling as this, it seems ridiculous that SA and Australia play only 3 tests.Since South Africa won the test series in Australia 1-0 in November 2012, Australia have played 20 test matches while South Africa have played only 12 test matches. South Africa have also not played a 5 match test series since playing England at home in 2005. 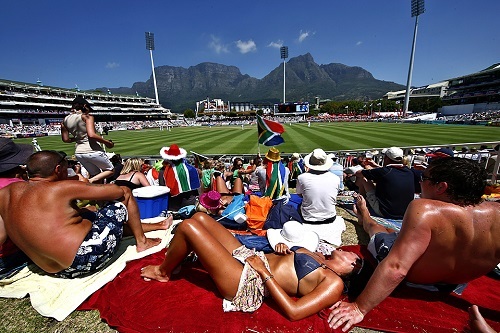 Seriously, please can we have some more test cricket? I might be wrong in this, but I am pretty sure that is the most catches South Africa have dropped in a test series in a long long time. The fielding at times was abject and the catches that were put down would be difficult to drop at school level. For a country that has been known as some of the best fielders in the world, the Proteas did not demonstrate that confidence in this series. No, I’m not being harsh. I thought Parnell was the perfect foil to the three main bowlers for South Africa, his left arm pace bowling offered a variation that I believe has been lacking in our line up. He also can bat a fair bit and should be included in the squad going forward. The reason he is here is once again Wayne received an opportunity and once again injury curtailed his involvement. 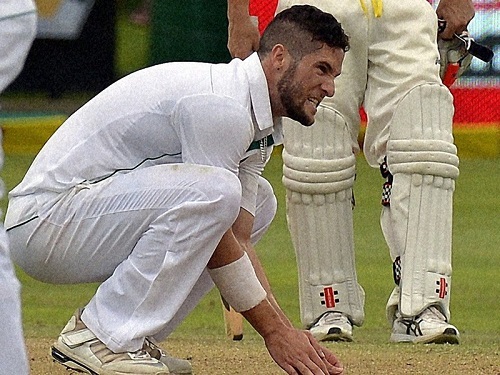 You may even consider Wayne Parnell in the Abou Diaby bracket at this rate! You can also read a pretty cool review on the series here. Let me know who else were your winners and losers in this series.